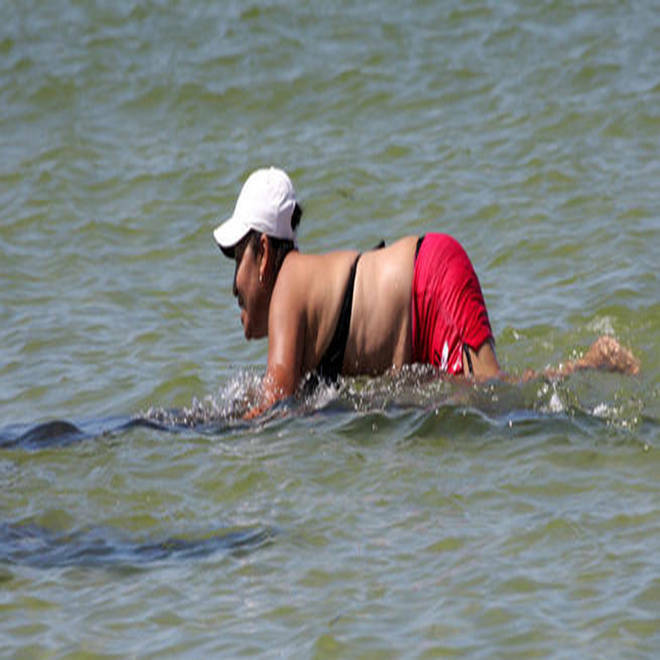 Authorities released this photo of a woman reportedly riding a manatee. Ana Gloria Garcia Gutierrez, 52, told police Tuesday that she wasn't aware what she did was against the law, the report said. Gutierrez was not arrested or charged, but the charges were referred to the state attorney's office, according to the Times. The Florida Manatee Sanctuary Acts states that: "It is unlawful for any person at any time, by any means, or in any manner intentionally or negligently to annoy, molest, harass, or disturb or attempt to molest, harass, or disturb any manatee." Authorities don't believe any manatees were injured. "It's a wild animal. It's not something to be ridden," Susan Butler, a manatee expert with the U.S. Geological Survey in Gainesville, told the Times. "I can't say that as a biologist I would ever, ever condone that, or say that (the manatee) wanted them to do that." This article includes reporting by Lisa Orkin Emmanuel, NBCMiami.com, and NBC News staff.